My first stop was the Asian grocery store and it so happened that some folks from Lee Kum Kee, the popular Asian sauce and condiment company, were on-site doing a promo: Buy two of their sauces and get a free (and really cute) reusable grocery bag. Since I needed to buy their Hoisin sauce anyway, I thought I'd just pick out a second sauce and score their cute bag. I chose to get their Korean barbecue sauce although I didn't actually have bulgogi on the menu for this week. 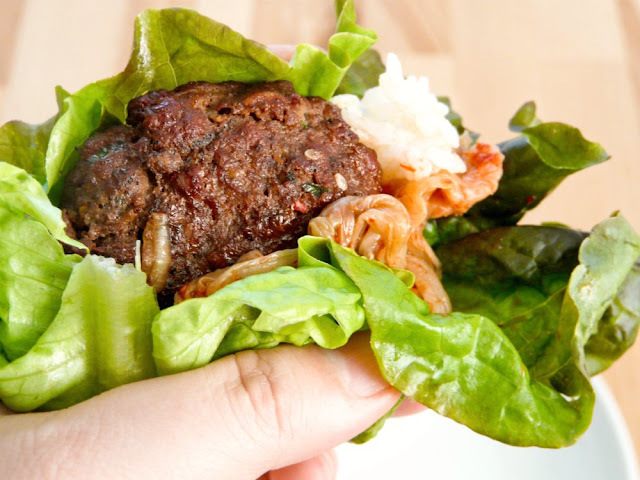 However, I knew that Mr. VG would be making burgers for dinner tonight and it just kind of clicked - Korean inspired burgers! The thought of it almost made me drool right then and there. 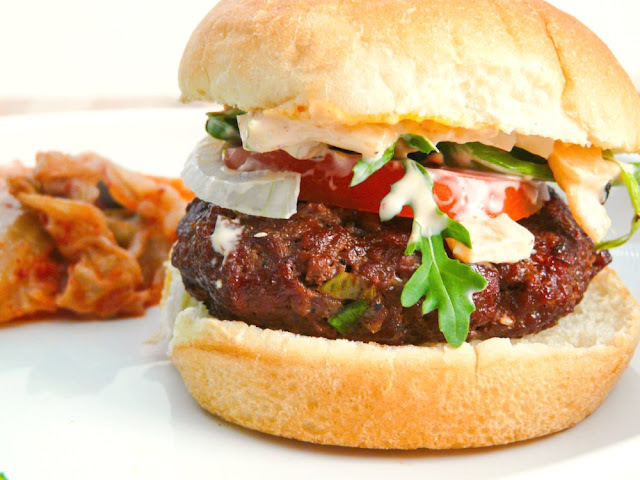 I made a Kimchi mayonnaise to go along with the burgers and they turned out fantastic! Best of all, Mr. VG did all the cooking outside and all I had to do was to prep the patties and the trimmings. Another score for me! If bottled Korean barbecue sauce is not readily available to you, try this simple sauce recipe from Epicurious. 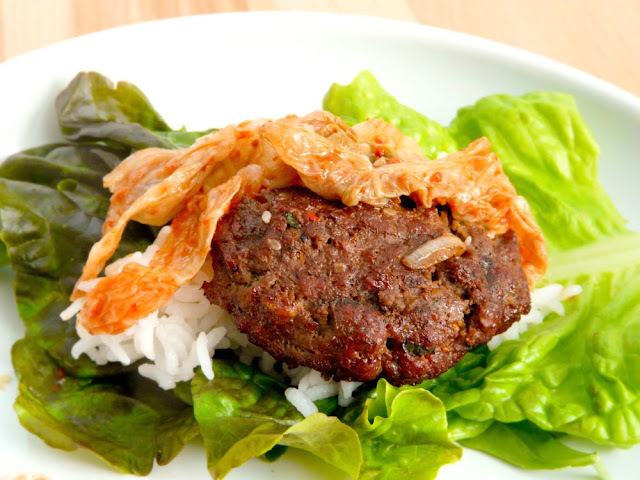 Add the Korean barbecue sauce, green onions, chili pepper flakes and sesame seeds to the ground beef and mix well. 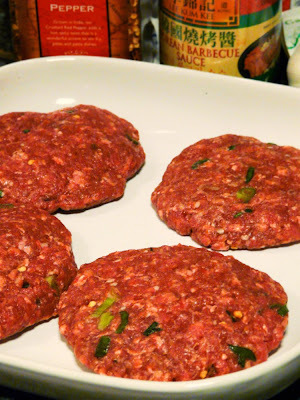 Shape the meat into patties, cover with plastic then refrigerate for at least 30 minutes. 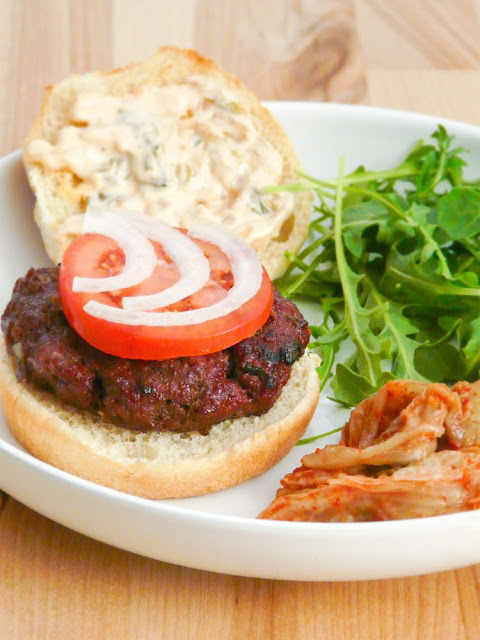 Keep in mind that the burger patties will shrink down in size after they've been cooked so don't make them too small. Grill the patties to preferred "doneness". 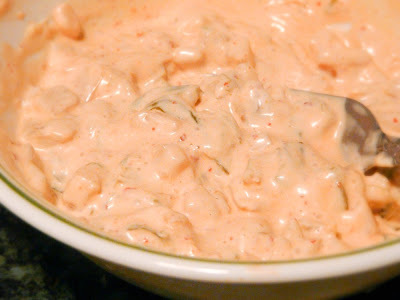 For the kimchi mayonnaise, mix the chopped kimchi with the mayonnaise and refrigerate until ready to use. marinated and ready to go on the grill! 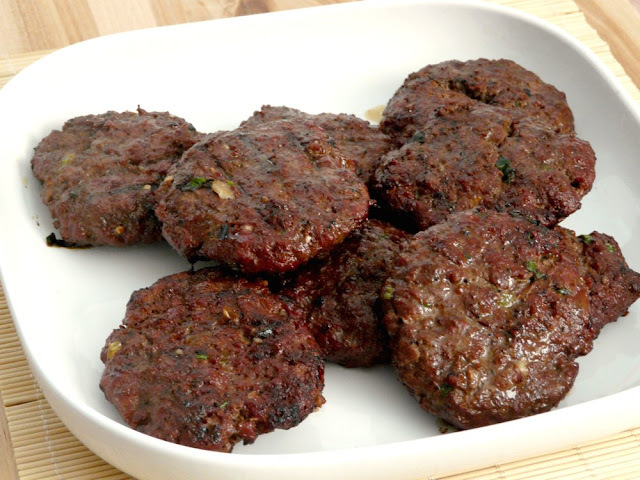 These juicy patties just came off the grill...yum! 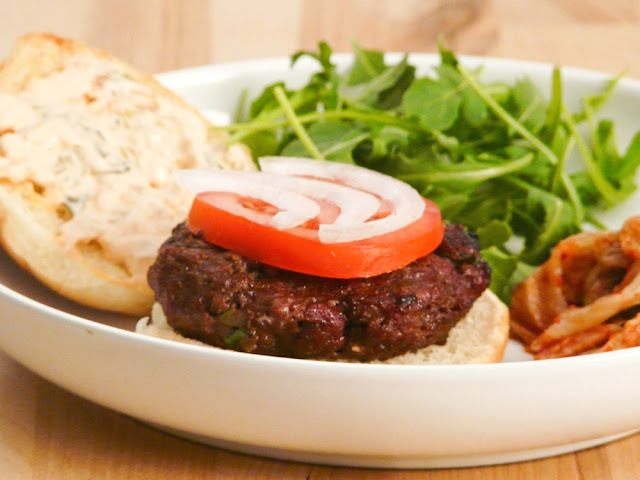 then dress your burger with your favorite toppings. 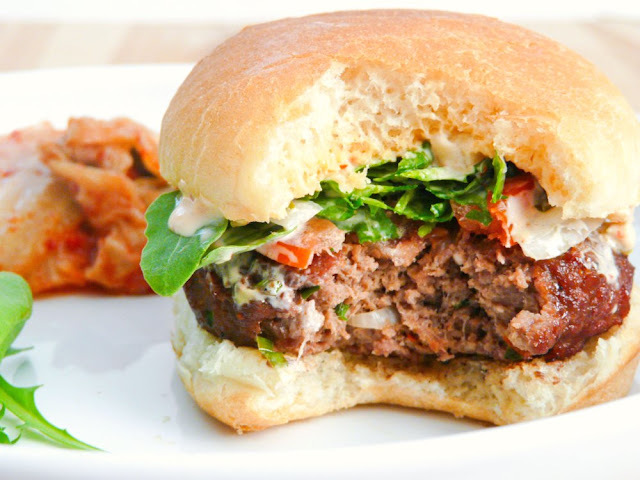 I used arugula in place of lettuce in my burger. LOVE! Most definitely love at first bite! ...wrap it all up and devour!